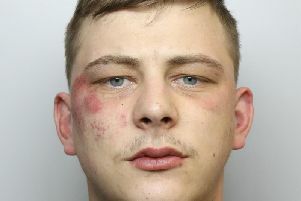 Six men have been charged with public order offences in connection with violence which broke out during a Yorkshire derby. Video footage emerged after Barnsley FC hosted Leeds United at the Oakwell Stadium last month. It showed pockets of fighting on the terraces, with reports that some violence later spilled into the town centre. Officers investigating the disorder, which took place during the match on Saturday 21 January, have now made eight arrests. Of those eight arrested, six men have been charged with public order offences. John Hall, 49, of Kingsway, Wombwell, pleaded guilty to a Section 4 public order offence yesterday at Barnsley Magistrates’ Court. He was handed a football banning order, which prevents him from attending any home or away Barnsley FC match for three years as well as any other regulated football match. It also prevents him being within one mile of the town centre and football stadium, home or away, for four hours before kick-off and six hours after the match has finished. Five other men have been charged with Section 4 public order offences but have not yet appeared in court. The men, aged between 20 and 50, are all from Barnsley or surrounding villages. Two other men have been arrested on suspicion of affray and released on police bail. A South Yorkshire Police spokesman said: “The investigation into the disorder continues and officers remain keen to hear from witnesses.” Please call 101 or email enquiries@southyorks.pnn.police.uk, quoting incident number 336 of 21 January 2017.